Coming soon to the market! Stunning 5 bed/3.1 bath luxury home in Long Grove. Gorgeous kitchen with generous eating area that opens into a huge family room with two story ceilings. Gorgeous finished basement. This home is not to be missed. List price $749,900. Call Anne Kaplan for a private showing. 847-401-7904. Expanded 3 bed/2 bath ranch in Stevenson High School district! Listed at $269,000. Huge master and 2nd bedroom. Quiet location. 5 minute walk to Willow Stream Park. District 96/125. This home will not last! Open house this Saturday from 11-1pm. You graduated from college and moved straight to the Chicago. You get your first condo and from there you have decided fairly quickly that you will live in that beautiful city of Chicago for the rest of your life. I mean, you have amazing food, bars and culture at your finger tips. This is a world class city! No way you are going anywhere. Then you meet someone. You and that someone get married. 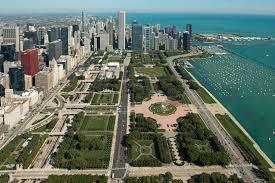 You and that someone are loving your life in that wonderful city of Chicago. You have great friends, you have all of your restaurant spots that no one else knows about. This is your city. And then…..you and that someone have child. Your little bundle requires energy and space. Now 1000 sq ft of space and a 3rd floor walk-up no longer work. Now you are having thoughts of large backyards and basements. We aren’t judging you. Your life has changed and you need to adjust. Moving to the Chicago suburbs can be a lot of change but at the end will truly be a wonderful experience. If you are not sure which suburb you want to move to, here are some things you might want to consider. There are several suburban towns that have really fabulous downtown areas that offer their own flavor with great shopping, services and restaurants. It might not be the city of Chicago but some of these downtowns offer exciting events throughout the year and become really great places for date night, to run and grab a cup of coffee or do some quick shopping. Some of the more obvious towns that have great downtown areas are Evanston, Willamette and Highland Park. Some towns that aren’t as well known for downtown areas but should be are Libertyville, Barrington and Arlington Heights. Now that you are leaving the city, you could be looking at a nice increase in square footage of living space. The general rule is the farther you get away from the city, the more bang for your buck. You will pay more to live in Evanston than Buffalo Grove. There are some areas that feel less like the suburbs and almost more rural and homes typically have even more acreage such as Long Grove and Hawthorne Woods. 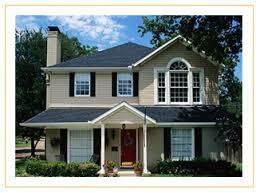 Are you on a budget and really want newer construction and square footage? You might want to go even farther north to Grayslake/Gurnee area. Lot’s of people commute to Chicago and it is no secret that traffic into the city is horrendous. Several towns have Metra stops that make getting to the city a breeze. Deerfield, Libertyville, Highland Park and Arlington Heights all have Metra stops that has several trains going back and forth from the city throughout the day. In your research for which suburb to choose, check out the park and rec sites to see what type of activities are offered. Do a yelp search to see what type of activities, shops and restaurants are in the area. It will give you a nice snap shop of what to expect from the area. If you are thinking about looking to buying a home in the Northern and/or Northwestern suburbs of Chicago, we understand how much thought and energy will go into this decision. Anne Kaplan and her team has been selling homes for over 30 years in the suburbs of Chicago and will do what it takes to help you find your perfect home. We believe in giving our clients highly personalized attention and will be with you every step of the way. Give Anne Kaplan a call at 847-401-7904 or email at akaplan890@gmail.com.